Measure out about 4 cups of each cereal and pour in a large mixing bowl. Measure out about 3 cups of mini pretzels and mix in. Measure out 1 cup of each candy & stir in. 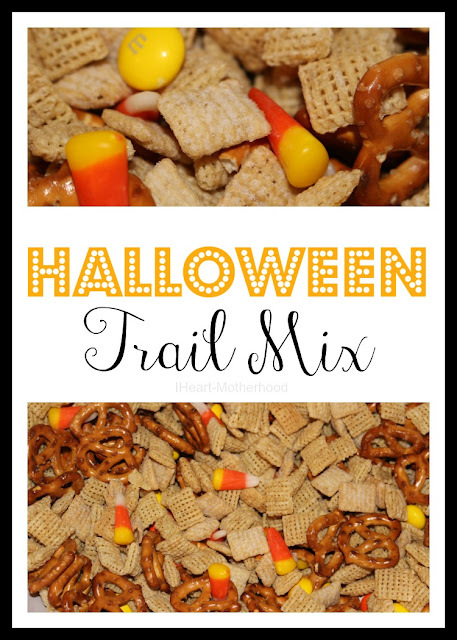 This super easy Halloween Trail Mix would be great for your party guests or place in baggies and send as a treat to your child's school! That looks tasty and festive. I'm hosting a Halloween party this Saturday. May just have to make some of this.